Fantastic news, part one. 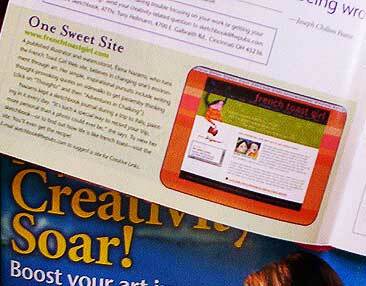 I've been featured in the April issue of the national art magazine, Artist's Sketchbook ! I've known about it since October, but had no idea when it would actually be in. It's in the Inspirations column, a nice place to be. Believe it or not, there are several other bits of exciting news coming... this is just the beginning. Special thanks to 'Toine who found it almost as it hit the newsstands.